How does an avowedly nonpartisan news organization like the New York Times cover an outrageous but media-savvy and factuality-challenged candidate like Donald Trump? This didn’t begin with Trump. For much of US history, the role of the news media–newspapers–in elections was obvious: newspapers should praise the party and the candidates they supported (who in turn supported the newspapers and their friends with advertising and with government jobs). That close connection between party and paper faded in the 20th century. Commercially successful newspapers, freed from dependence on party handouts, competed with other papers for economic advantage and hired reporters inspired by their new faith in a “scientific” approach to viewing the world (when they weren’t aspiring to write novels). By the 1930s and well into the 1960s, reporters tried to live up to an “objectivity” model of political reporting: describe a recent campaign event; quote the Republican candidate; quote the Democratic candidate; line up the who, what, when, and where; and leave the “why” alone or bury it deep in the story. 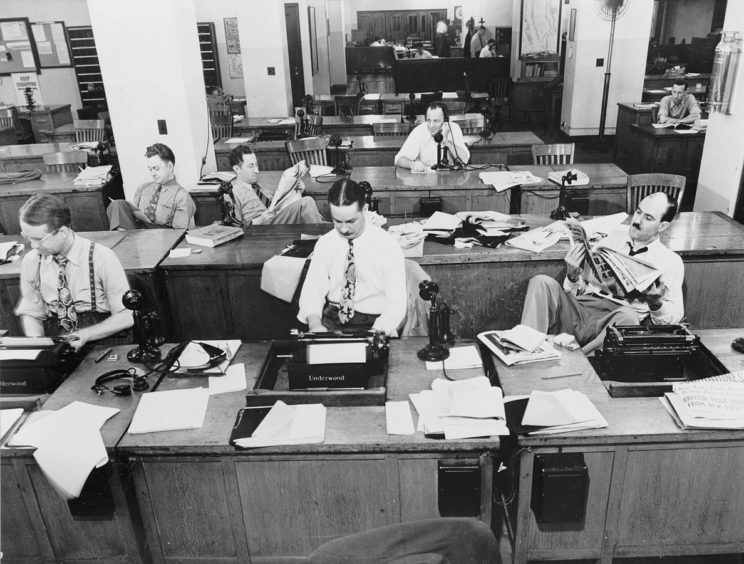 The New York Times newsroom 1942 by Marjory Collins – This image is available from the United States Library of Congress’s Prints and Photographs division. Public domain via Wikimedia Commons. Although journalists grew more assertive, they were still reluctant to say to politicians—“you lied.” But as early as 1969, right-wing organizations, and later left-wing ones, too, sought to hold politicians accountable by examining the factual claims they made. But at first no one claimed “fact-checking” to be a valid journalistic activity. Then, in 2003, factcheck.org was founded to evaluate the truthfulness of what candidates were saying on the 2004 campaign trail. When candidates tried to convert voters to their policies or viewpoints with fact-based (or presumably fact-based) statements, factcheck.org was on the job. Doing that job sometimes involved getting information the old-fashioned way – call up some experts and see what they had to say. Later on, fact-checking was made possible by the internet and the ready access to all kinds of data for any reporter with a computer, a laptop, or a smart phone and the convenience of a Google search. Factcheck.org was followed by PolitiFact.com in 2007 and also a fact-checking column in the Washington Post in 2007 that became a permanent Washington Post feature in 2011. These developments led others around the country—indeed, around the world—to adopt fact-checking practices. The New York Times had eighteen staffers assigned to fact-checking during the first presidential debate this year. So, how do unbiased organizations like the New York Times cover factuality-challenged candidates like Donald Trump? Journalists are now pushed to more boldly declare their informed and researched judgment about what is and is not factually correct. But telling readers what journalists conscientiously believe about the political rhetoric of the day was not born in 2016. Nor—strange but true—is it as old as the journalistic hills. Feature image credit: News Media Standard by Sollok29. CC BY-SA 4.0 via Wikimedia Commons. 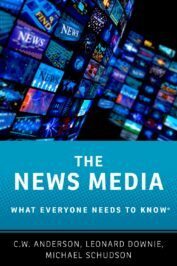 Together, they are the co-authors of The News Media: What Everyone Needs to Know.